Of course you do! We're excited to announce that for the first time highly customized and always updated sponsorship intelligence is now a reality. Customized alerts are just one benefit of upgrading your property to a Property Manager Elite account. 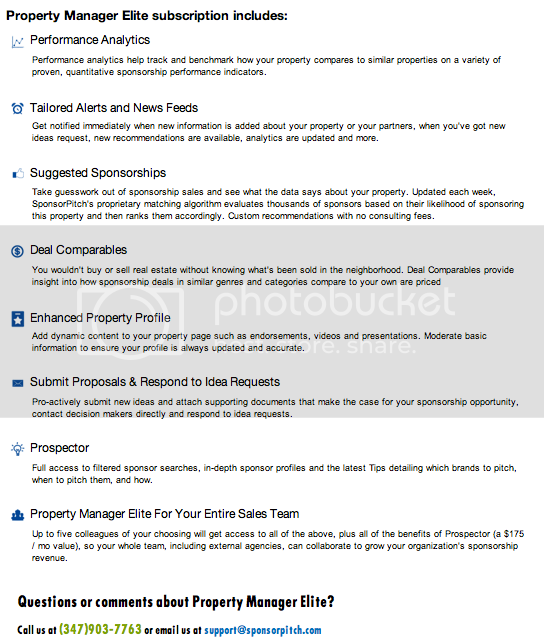 Here's the skinny on what else your sales team gets access to with SponsorPitch's new Property Manager Elite subscription plan.